PUBG Full Form - Full Form Planets! 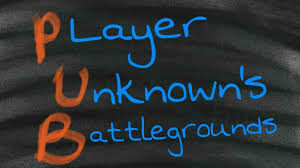 PUBG Full Form: Player Unknown’s Battleground (PUBG) is an Online Survival Multiplayer Game. Basically, You have to survive in a island and Kill Others to win and Awarded by “Winner Winner Chicken Dinner”. However, Pubg Mobile has developed by Pubg Corporation and somehow by Bluehole. Literally, Pubg Mobile has boomed Play Store and Other app stores with millions of downloads. First of all, You need to know concept of pubg that make peoples addicted toward this. Basically, 100 players have to survive on a island by looting Guns, Armors and Medicines. In 100 Players who won the game and got the yummy chicken dinner. How to Win in Pubg? and its Survival, Looting Concept Explained! Probably, here is your answer. The last person or last team who survive has got 1 st position. Basically, Getting 1st position in pubg dont give you the real tasty chicken dinner. Almost, it need High Amount of Kills, Survival Points, Revives, restoring health etc. If Pubg is played in Squad you need a Extraordinary teamwork with different high IQ Strategies and Skills. Pubg Mobile is Full of Fun and addiction. Literally, Pubg is Addicted game because of his tiers or in other words levels. Mainly, Pubg has 8 Different Tiers. P.s: In conqueror only top 500 players included from a particular server. How many Servers are in Pubg Mobile? In Pubg Mobile There are 5 Servers. Probably, this is beacuse pubg has players from different regions from all over the world. If a North player play with south player that make actions and data delivering slow. For The Reason That, Pubg has ASIA, Europe, North America, South America and KRJP Server. 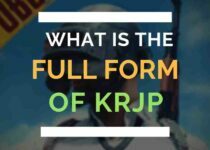 (KRJP Full Form in Pubg). However, Pubg Mobile has another option of language matchmaking. This option helps players to match with same language player. So, When it Comes on Earning of Pubg Mobile or Pubg Corporation. One thing come in mind is Huge Revenue. Almost, Pubg Made 11 million Dollar in the first three days of its Windows Version in March 2018. They dont make any revenue from Ads or Popups. However, they make their most of the revenue from Sells of Elite or Royal Pass of Pubg. 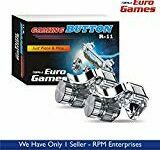 Read More Amazing Informations about Pubg in our Pubg category. How Many Bots Are in Pubg Mobile? 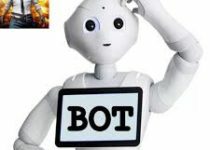 First of all, if You dont know what is a Bot in Pubg and Bot Full Form make sure to read it first. Almost, in the beginning tiers or stating phase of pubg. We can see many bots. For the Reason that, We are New or Noob in starting that’s why we got lots of Bots in our Game. Rather, There is a legendry reason behind it. If we got real players in starting and definately there are chances that we got killed by them. and Then, this make us demotivated or Jealous of game. That’s why whenever we kill a Bot we enjoy that moment. Moreover, We enjoy more and play more Pubg. How to Become a Pro in Pubg Mobile? First of all, there are various factors you must have to become a pro. Like, Fast Reflection, strategies, Aiming, Recoil Control, Teamwork (in squad). Moreover, you have to do multiple actions at a time. Like, Jump while shooting and Moving while Firing. And most Important opening scope whenever scope do better than aim assistant. Here is My advice to become Pro: literally, when i start Playing Pubg Mobile i use Thumbs then i Move on to Triggers. and Then, i tried lots of triggers Then i find RPM’s Best Pubg Mobile Triggers. and i am Season 4’s Conqueror Player. So, Read More Benefits of this triggers from Here and my advice for you to buy them if you wanna Play Better. When Modi Says “Yeh Pubg Wala Hai Kya”! Basically, on February 2019 Prime minister of India “Shri.Narendra Modi” Held’s a Conference on Education. Then, a Indian Lady Asks him about his child’s addiction on Online games. Then, PM Replied “yeh Pubg Wala hai kya”. Stay For 30 Seconds Official Data is Loading in Process…. Good post. I learn something new. practice a little something from other sites. Really Pubg Is Epic Game. Literally, i’m very happy I found this during my search for something concerning this. it happens. Thank You So Much For Sharing. I want to build a website like Peaches and Screams UK and I wanted to get your perspective of whether that site is good from the users’ perspective before I go ahead and build something similar. I think that the design of the site is very modern and nice but I am not sure how people would react to a similar site? vacant screen for long time. Could you inform me what theme are you utilizing on your website? Full Form Planets Copyright © 2019.